What type of visa do I need to attend NYFA’s programs and workshops in the U.S.? How does the student visa application process work? What are the steps to get an I-20 Certificate? How long does it take to get an I-20 and visa? What is a SEVIS number and SEVIS I-901 fee? What are the estimated living costs? How long can I stay in the U.S. on a student visa? Can I work in the U.S. on an F-1 or M-1 visa? What is Optional Practical Training (OPT)? Will I be eligible for OPT? Can I transfer my I-20 to NYFA if I am currently studying in the U.S.? Who do I contact for more information about visas and immigration matters? Q. What type of visa do I need to attend NYFA’s programs and workshops in the U.S.? A. You will need an F-1 student visa in most cases, unless you are enrolling in a musical theatre program or workshop, in which case you will need an M-1 visa. If you are in the U.S. on a different type of visa, you may be able to study. To confirm, please contact the International Office about your situation at International@nyfa.edu. Please note that the U.S. government prohibits studying on a tourist visa. Q. How does the student visa application process work? A. In order to apply for a student visa you will require an I-20 A-B Certificate of Eligibility for Student Status, which will be issued to you by the NYFA International Student Office. Q. What are the steps to get an I-20 Certificate? A. To apply for an I-20 Certificate, you will need to down an application here which also includes instructions on the steps you will need to follow. You will need to provide proof of funds available to pay for all tuition and living costs. Once you have submitted all the required documents for the I-20 and you have been fully accepted to the program, we will send the I-20 certificate by courier. You can learn more about the process and the necessary documents to obtain and fill out here. 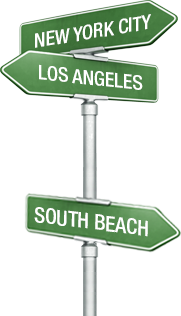 Please note that we issue I-20 certificates for all full-time programs in New York, Los Angeles and South Beach (4, 6, and 8 week, 1 and 2 year and all degree programs). Q. How long does it take to get an I-20 and visa? A. We can issue the I-20 very quickly once you are accepted and have submitted the complete I-20 application documents. Q. What is a SEVIS number and SEVIS I-901 fee? A. When an I-20 is created a unique SEVIS ID# is generated. There is a $200 SEVIS I-901 fee that is required by the U.S. government to be paid for all I-20’s. We will send you an email to confirm when the I-20 has been sent and this email will include the SEVIS ID # and instructions on how to pay the SEVIS I-901 fee. You usually will need the SEVIS ID# in order to complete the DS-160 visa application and schedule a visa appointment. Q. What are the estimated living costs? A. For I-20 and visa purposes you will need to show you have the funds available for tuition and living costs. The minimum you need to show is $1900 per month for living costs (housing, food, transportation). Your actual living costs may be higher or lower depending on your choices. $1900 per month is a bare bones budget (no luxuries, shared apartment within an hour of the school). Q. How long can I stay in the U.S. on a student visa? A. All F1 and M1 students can enter the U.S. up to thirty days prior to a program’s start date with the I-20 certificate and student visa. F1 students can stay in the U.S. for an additional sixty days after completing a program. In addition, F1 students can extend their stay by studying longer or doing Optional Practical Training (OPT). OPT authorizes students to work in the US after completing at least a one year program therefore OPT is only an option for student who complete conservatory and degree programs. M1 students can stay in the U.S. for an additional thirty days after completing a program. Options to continue studying in the U.S. are more limited for M1 students. Q. Can I work in the U.S. on an F-1 or M-1 visa? A. You cannot work while you are a student at NYFA. You must have the funds to support yourself for the duration of your studies. We do not offer on-campus employment. If you complete a conservatory or degree program, you will be eligible to apply for Optional Practical Training (OPT). Please see the next question regarding OPT. Q. What is Optional Practical Training (OPT)? Will I be eligible for OPT? A. Optional Practical Training (OPT) is a U.S. Immigration term that refers to temporary employment for practical training (work) directly related to the student's major area of study. International Students at NYFA are eligible for Post-Completion OPT which takes place after you complete a one or two year conservatory program or AFA/BFA/MFA degree program (short term workshops are not eligible for OPT). Once you are eligible to apply for OPT (toward the end of your last semester) the International Student Office will assist you with the application process and advise you on the various rules and regulations related to OPT. F1 students are eligible for up to twelve months of OPT. M1 students are eligible for two to four months of OPT depending on length of study. ***If you have done OPT in the past please contact the International Student Office to discuss your particular situation so that we can properly advise if you will be eligible after you complete a program at NYFA. Q. Can I transfer my I-20 to NYFA if I am currently studying in the U.S.? A. If you are currently in the U.S. studying at another school in F1 student status you may be able to transfer your I-20 to NYFA. If you are in another student status (M1/J1) please contact the International Student Office so that we can properly advise you. In order to be eligible to transfer you must be in good F1 student status. You can only transfer during or within 60 days after the program end date at your last school. You must take the next available class start date at NYFA (not to exceed 5 months). If you want to transfer out of your current school before the end date, you must arrange the transfer before withdrawing from your current school. You must take full time course at NYFA. Evening classes are not full time and not eligible for an I-20. Please contact the International Student Office to discuss your particular situation as there are various rules and deadlines associated with transferring the I-20 and you do not want to do anything to jeopardize your student status. Q. Who do I contact for more information about visas and immigration matters? A. Please contact the NYFA International Student Office at International@nyfa.edu or call +1-212-966-3488 and ask to speak with an International Student Advisor.